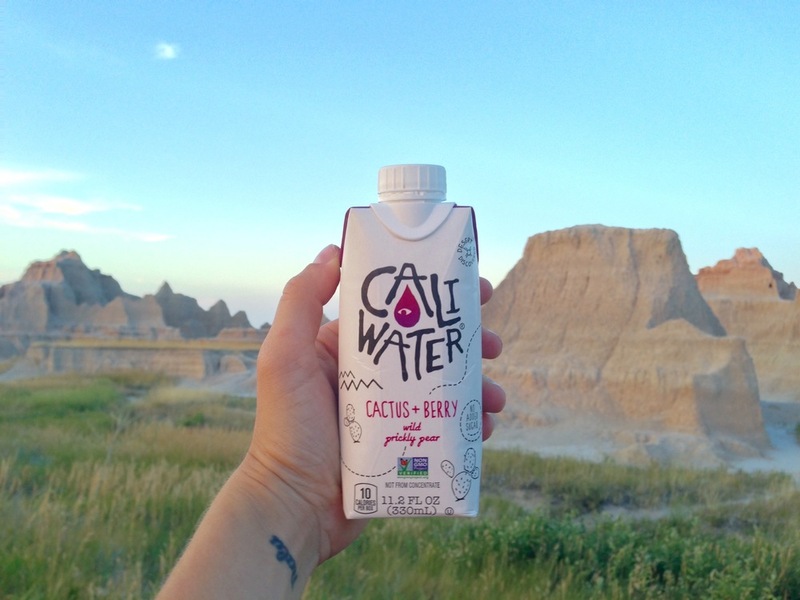 This week we're thirsty for spacious skies. Celebrate the 100th birthday of our National Park Service by taking a road trip for the ages to these beloved Parks. The Grand Canyon is proof that Mother Nature knows how to go big or go home. The park covers over 1,900 square miles, includes a peak of 8,803 feet (Point Imperial), and features a maximum canyon width of 18 miles. Wander, but don't get lost. In Yellowstone, the mind-blowing scale of the mountains is rivaled only by the chance to see majestic creatures like bison, grizzly bears, and grey wolves. Bring a backup SD card for your camera -- you're going to want to capture every single moment! Canoe the Green River for peace and quiet; tour the "grand, gloomy, and peculiar" underground caves if you don't mind a little spookiness. This site has cultural significance to over 20 American Indian tribes and is considered sacred to the Lakota. According to Lakota legend, the cracks running vertically in the rock were made by a bear's claws. Now it's your turn! Build a campfire, toast some s'mores, and come up with your own myth for how the tower came into being. This wonderland of sequoias and waterfalls keeps the fun going year round with boating in the summer and snowboarding in the winter. Standing awe-struck under the stars in an option that's available year round. Visit the Fossil Prep Lab for your daily dose of paleontology, and cycle the steep routes of the Badlands for your daily burn. Hydrate with Cactus Water after. Go hiking, horseback riding, and geocaching before attending a presentation by one of the park's Artists in Residence. After all, what better place is there for an artist than the painted desert? North Cascades National Park boasts over 300 glaciers that are closely monitored by a team of researchers who track the impact of climate change. Click here for comparative aerial photos that show just how much the glaciers have changed over the last 60 years, then pay to offset your carbon footprint in order to be part of the solution. Camp out in this fossil reef in West Texas for a weekend of spring-hopping and bird-watching that your besties will never forget. Gather wildflowers for your true love on Baker Creek Trail, sneak a kiss in Lehman Caves, and pop the question under an ancient bristlecone pine for a romantic getaway courtesy of Mother Earth herself. 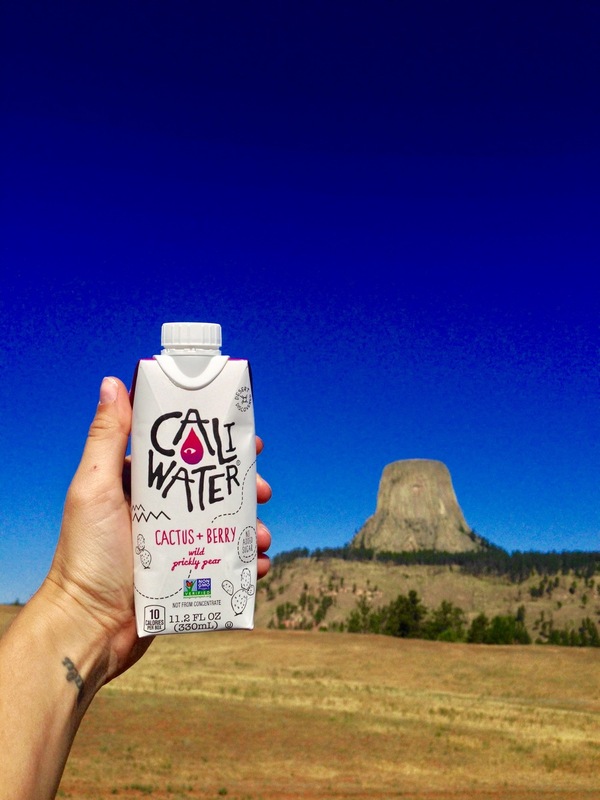 Stacey of Team Caliwater recently went wild on the road with our wild berry Cactus Water! Pictured below: Devil's Tower, Yellowstone's Grand Prismatic, and Badlands National Park.